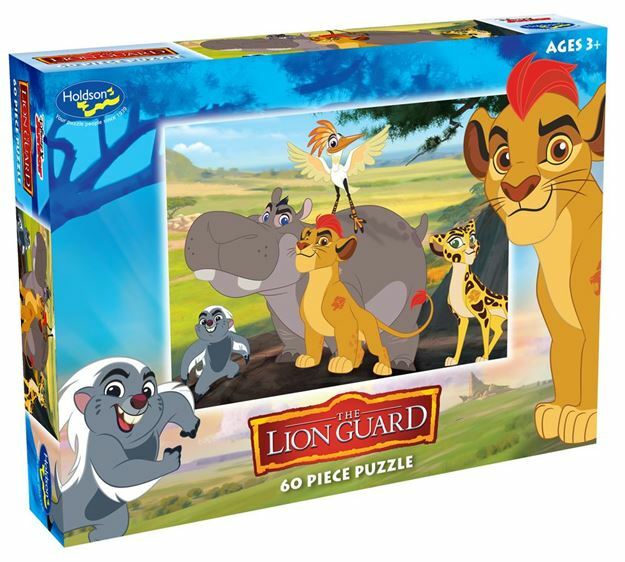 Join Kion and his friends as he leads the Lion Guard to protect the Pride Lands and defend the Circle of Life with this collection of Holdson 60pc boxed puzzles. Titles include: Always On Guard, Hukuna Matata, Prideland Defenders and The Circle Of Life. Each design sold separately. Collect all four designs. Age 3+ years. Made in New Zealand by Holdson. Approximate puzzle dimensions: 340mm x 240mm. Box size: 270mm x 190mm.